If you are just opening your business or are just looking for better marketing strategies get the word out about your business, then you may want to think about taking your business to a trade show. A trade show will give you the opportunity to show your business off to potential customers in order to gain some publicity. However going to a trade show for the very first time can be rather scary. There will be many questions going through your head when you are considering about going to your very first trade show, this will include, ‘What do I need to take?’ and ‘How should I present my trade show stand?’ To get more of an idea on how to present your trade show stand, you should ensure that you know as much as possible about the trade show conference you are going to. 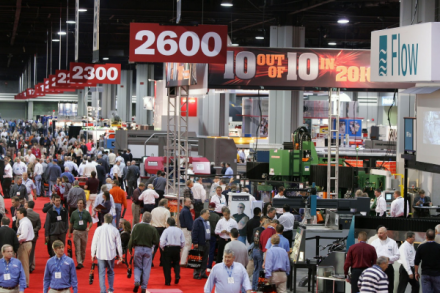 You should contact the event organizers to find out as much as possible about the trade show, you should get the details about what type of audience this type of trade show usually gets and the size of the trade show. When you sign yourself up for going to a trade show, they will usually send you all this information anyway. You should also ensure that you know the size of the trade show table you will have, this will give you an idea as to what and how much stuff you should bring with you. You should be doing everything you can to make sure that your table stands out from others. If the trade show is supplying your table and table cloth, you should think about taking your own table cloth. Menial as this sounds, this will make your table stand out. You should think about using one which will represent the colors of your business so that it will stay in people’s minds. If possible you should provide a display board, which states how your business will benefit your customers. You should do as much as possible to get your display board and table to stand out among the others. You can use photos, visual aids and colors to catch people’s eyes. You should make sure that your trade show table is well organized, if your table looks messy, chances are customers aren’t going to come over. If you are a bit worried about setting up your trade show table on your own, you can hire an exhibition freight company who will take your products to and from the trade show and will also help you set up your stand. They will have lots of experience in setting up successful trade shows. The main thing which you want to get from this trade show is to gain more customers for your business and get the word out, to ensure that you achieve this, you should prepare some giveaways to potential customers. Come to the show with plenty of business cards, business pens, magnets, booklets and other quirky gadgets that represent your business. You can give these away to people who come and visit your stand so that you will be remembered once the trade show is over. Paul runs his own business and has noticed a dramatic build in custom since attending trade shows. Paul uses 24-7exhibitions.com to get from and to his trade shows.